At NASL Soccer Bowl 2013 on November 9, a crowd of 7,211 fans packed into Atlanta Silverbacks Park where the capacity had been increased to meet the demand to watch the host Silverbacks take on the New York Cosmos. 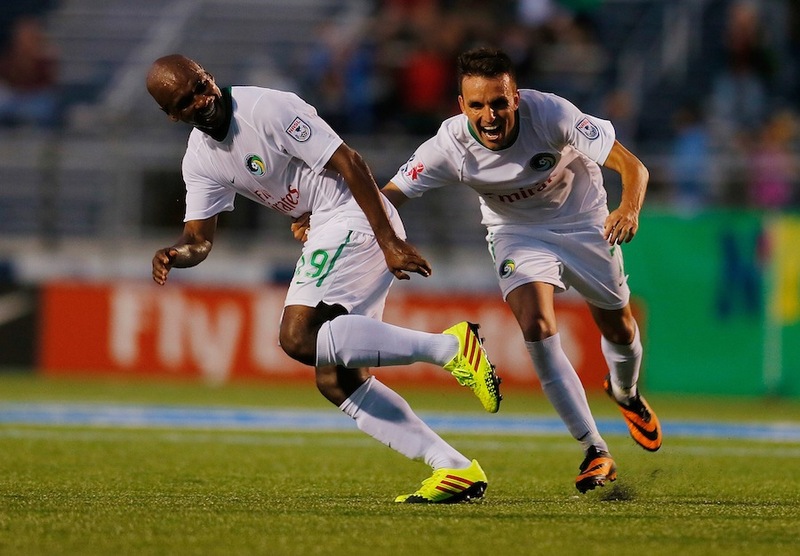 Spain international Marcos Senna scored the game's for the Cosmos only goal with his superb half volley in the 50th minute to earn New York a 1-0 victory. 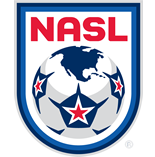 The NASL shifted to a split-season format with the winners of the Spinrg and Fall Season reaching the Soccer Bowl Final. Atlanta was crowned Spring Champions, while the Cosmos booked a place in the final after defeating the San Antonio Scorpions in the penultimate match of the Fall Season. The club returned to the field for the first time in almost three decades. Hristov led the Rowdies in scoring with 12 goals and had eight assists as he won the media vote to be named the league's MVP. 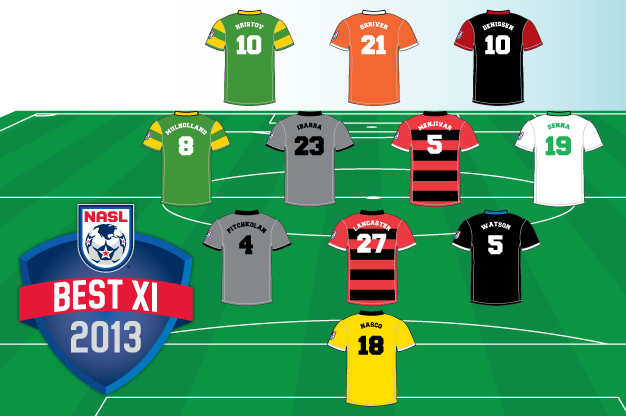 Shriver fired 15 goals as the top scorer during the combined NASL Spring and Fall Seasons. Reynish started and played every minute in 13 of the 14 Cosmos games during the NASL Fall Season, posting a record of eight wins, four draws and one loss, while earning five shutouts. Reynish posted a 0.92 goals against average. Goalkeepers had to play a minimum of 10 games in 2013 to be eligible for the honor. In his first full season in charge, Haynes led the Silverbacks to the NASL Spring Season title and with it the right to host NASL Soccer Bowl 2013.